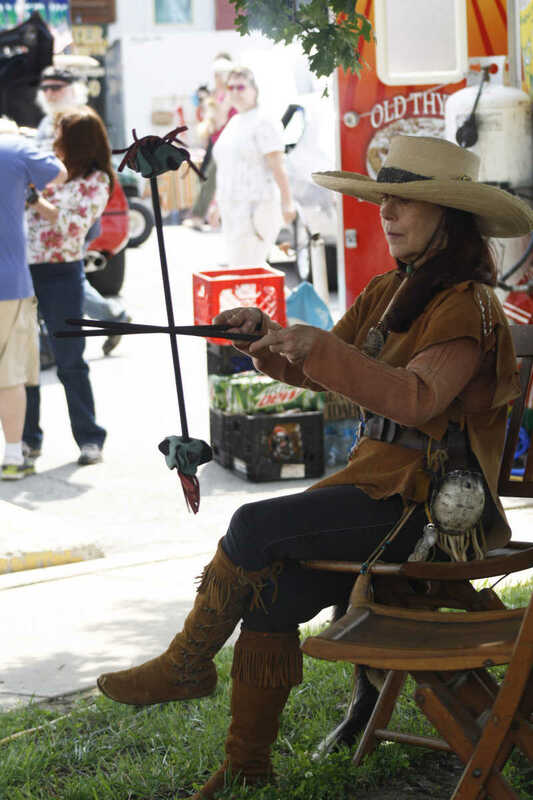 Pole Cat Annie tosses Cherokee juggling sticks while waiting for her next performance as part of the Great Medicine Man Show. The juggling sticks involved balancing and bouncing one weighted stick with two. The task, Annie said, required good posture, patience and concentration. Annie, who is from Concordia, said she has been juggling for more than 30 years. 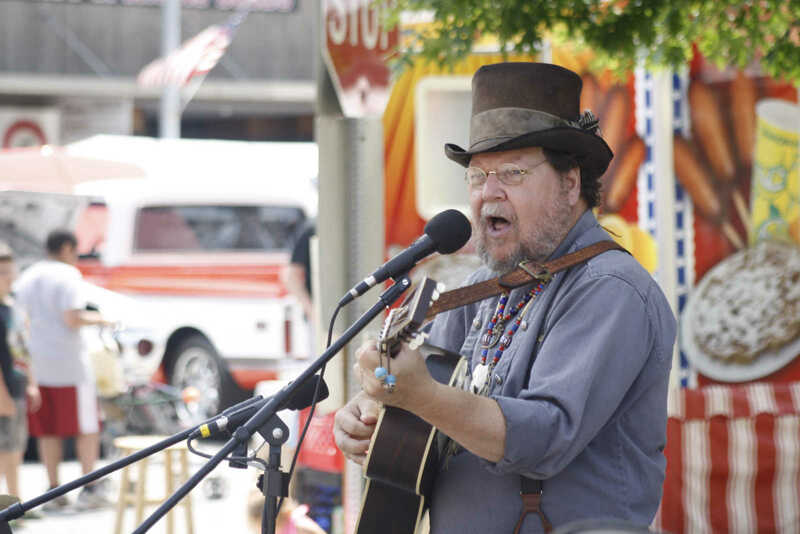 Professor Farquar, a Civil War era reenactor, puts on The Great Medicine Man Show Saturday morning. Farquar mixed jokes with songs during his show. "They call me the Justin Bieber of geriatrics," he said. 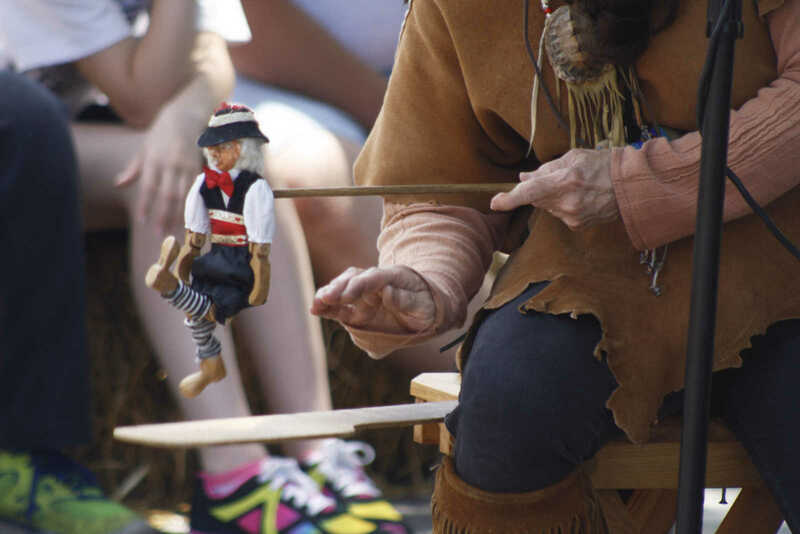 As part of The Great Medicine Man Show, reenactor Pole Cat Annie plays a jig doll (also known as a Limberjack or Ricki-tick) while singing along with reenactor Professor Farquar. The doll seemingly clog dances as Annie smacks out beats on the wood below. Annie and Farquar have been been putting on reenactment shows for more than 30 years. Storyteller Chris Sutton gives a rendition of the Confederate surrender at the end of the Civil War. 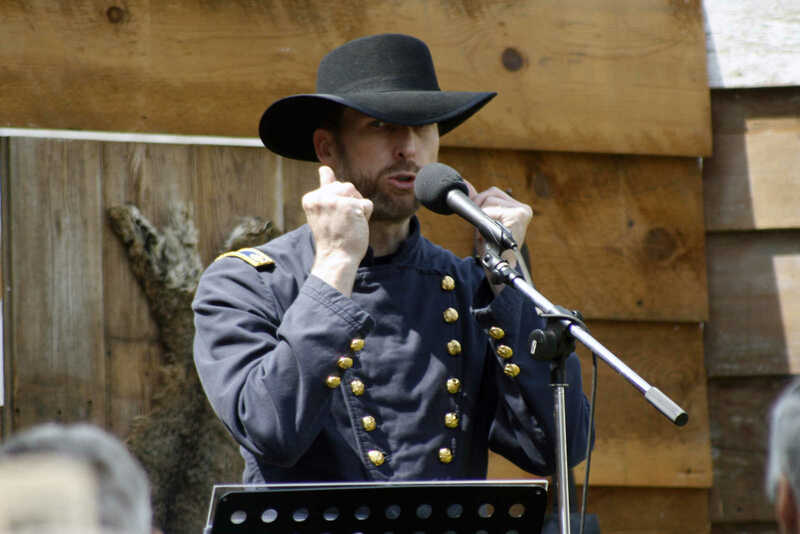 Sutton presented several Civil War stories throughout the day Saturday. 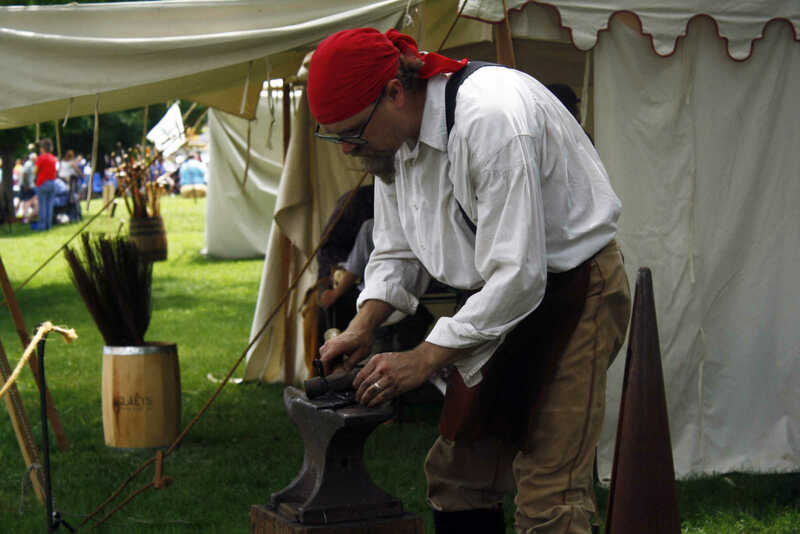 Blacksmith Monty Towe hammers metal into shape to create a sword hanager. Bushwhacker Days visitors were able to watch Towe work through the process and see other metal projects he has created.